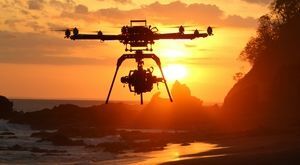 On May 19th the District Court for the District of Columbia ruled that hobbyists using drones are not required to register their drone or pay the $5 registration fee. It is important to remember if you are using your drone for commercial purposes then you MUST still register your drone. The FAA defines recreational/hobby use of a drone as "the flying for enjoyment and not for work, business purposes, or for compensation or hire". The FAA also relied on the dictionary definition to say that a "hobby" is a "pursuit outside one's regular occupation engaged in especially for relaxation or refreshment of strength and spirits after work". Fly at or below 400 feet.Be aware of airspace requirements and restrictions (YES!! These still apply;, check the B4U fly app before any flight).Stay away from obstacles.Keep your drone in sight at all times.Never fly near other aircraft, especially near airports.Never fly over groups of people.Never fly over stadiums or sporting events. Never fly near emergency response efforts, such as fires. Never fly under the influence of drugs or/and alcohol. As professional photographers who receives some sort of payment or compensation for their work, you must register with the FAA and pass the Section 107 test to legally operate and charge for your drone photography! As always, find out everything you need to know about flying your drone safely and legally at PPA.com/Drones.